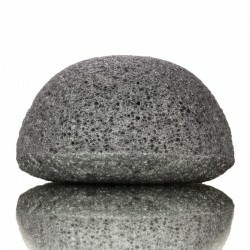 The konjac sponge is made from a natural material which is called Konjac (in Japan it's known as Konnyaku). Konjac is a perennial herb in aroid family and since ancient times, it has been widely used as a medical and edible natural plant. 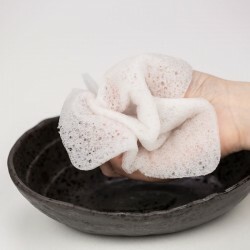 It's perfect for cleansing even the most sensitive skin! 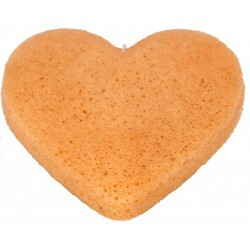 he unique network structure of the sponge gently massages the skin and stimulates the blood circulation and the regeneration of skin cells - a clean and refreshed skin ... and all this in a natural way. Better for your skin, better for the environment - and better for your wallet! 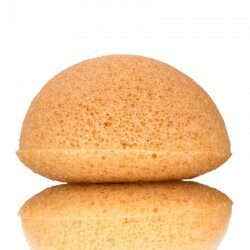 The Konjac Sponge is about 8 cm (3.2 inches) in diameter and 3,5 cm (1.4 inches) - the perfect size for face and body. Lightweight and perfect for everyday use, even on sensitive skin.